Forget DiCaprio and The McConaissance, the Demolition star is doing it better. Forget about Leonardo DiCaprio, Tom Hardy and Matthew McConaughey’s much-hyped McConaissance – Hollywood’s best and most interesting actor right now is Jake Gyllenhaal. That’s right, the bloke who shot to fame for seeing a doomsday rabbit in Donnie Darko and has films as, er, eclectic as Bubble Boy and The Day After Tomorrow on his CV. If anything , t’s Jerry Bruckheimer’s franchise hospital pass Prince Of Persia that shook Gyllenhaal into life. Prior to that he’d won over critics with his turn as a tortured gay cowboy in Brokeback Mountain, but inconsistent choices – the snorefest Rendition followed the brilliant Zodiac – left him struggling to find his groove. Prince Of Persia continued Hollywood’s long tradition of crap video game movies – unsurprisingly it underperformed at the box office. That was back in 2010, and since then Gyllenhaal has been on an enviable hot streak that contemporaries like of Chris Pratt and Ryan Reynolds can only dream of matching. 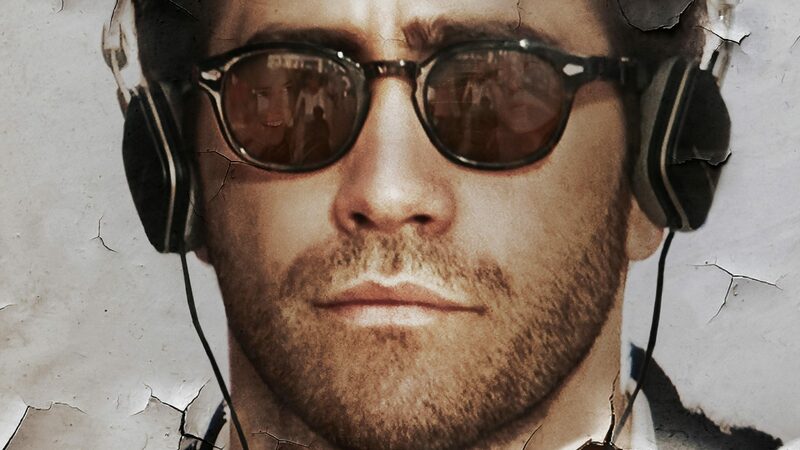 Demolition, out this week in the UK, is another brilliant performance from Gyllenhaal. He plays a heartless investment banker who’s thrown into a stupor after his wife dies in a car accident. To combat the numbness and grief, he takes to tearing down houses to literally and metaphorically put his life back together. Worth a watch for Gyllenhaal’s off-kilter, eccentric turn alone. Don’t believe us? Fire up these Gyllenhaal films on Netflix and thank us later. “Groundhog Day with explosions” could have been the pitch for this mind-bender from Moon director Duncan Jones (the son of David Bowie, no less). Gyllenhaal plays a helicopter pilot who relives the same eight minutes over and over again in a bid to stop a terrorist from blowing up a commuter train. This was a gripping and surprisingly emotional sci-fi, chiefly thanks to Gyllenhaal’s compelling lead turn. Gyllenhaal made for a believable tough guy in David Ayer’s cop drama. His cop Brian Taylor was paired up with Michael Peña’s Mike Zavalan for a documentary-style look at gang warfare in South Central Los Angeles. Gyllenhaal brought spark and charisma to what essentially boils down to an ultra-modern riff on the Lethal Weapon buddy film. A dark kidnapping drama from Denis Villeneuve, Gyllenhaal played a twitchy, nervous detective on the hunt for Hugh Jackman’s missing daughter and her friend. The same year, Villeneuve and Gyllenhaal also teamed up on Enemy, in which the actor was equally impressive playing a teacher and his sinister doppelgänger. The film of Gyllenhaal’s career so far. He dropped 20 pounds to play a bug-eyed and sociopathic parasite who makes a killing flogging grim crime scene footage to news networks. A slick thriller as good as any film out in 2014, it shamefully only got a single Oscar nomination for original screenplay – Gyllenhaal was snubbed, despite being miles ahead of eventual winner Eddie Redmayne. A bruiser of a boxing movie, Gyllenhaal piled on the pounds post-Nightcrawler to player a fighter who loses custody of his daughter after his wife dies. Savage fight scenes sit next to gooey sentimentalism, but Gyllenhaal’s performance stitches it all together nicely. The film won’t go down as a classic, but it’s a punchy reminder of Gyllenhaal’s versatility. Demolition opens in cinemas on April 29.